Is Your Heeler Puppy Biting Excessively? If your heeler puppy won't stop biting, rest assured, you are not alone. These puppies have a reputation for being quite a handful in the biting department due to their ancestry. Blue heeler, red heeler (basically, heelers of different coat colors), Australian cattle dog and Queensland heeler: these are just several names simply used to depict the same breed. In order to better understand why a heeler puppy won't stop biting, you need to look back into this breed's history and what these dogs were selectively bred for. As the name implies, an Australian cattle dog's country of origin is Australia, and more specifically, Queensland—Australia's second largest state which is where these dogs were particularly popular. These highly intelligent dogs are related to Australia’s famous wild dog, the Dingo. 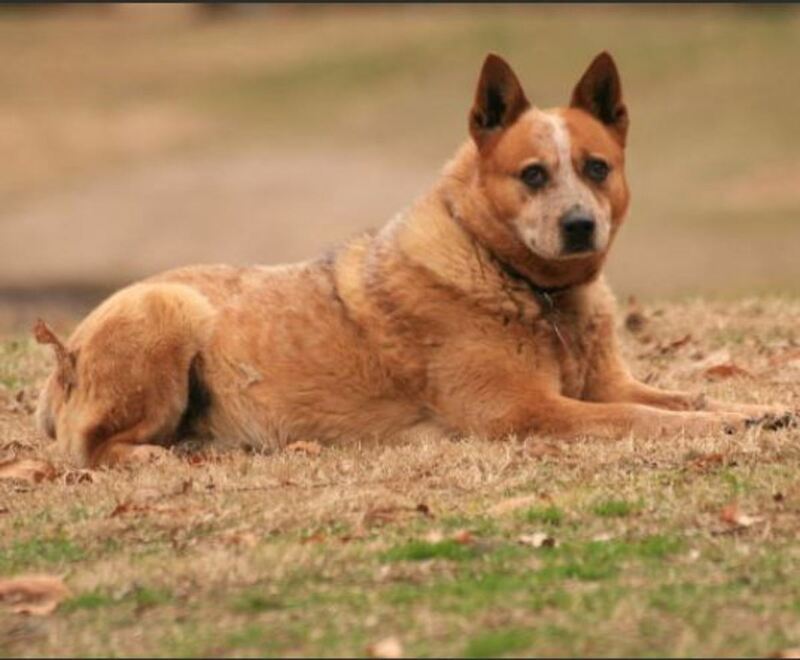 The history of the breed informs us that heelers were obtained by crossing imported herding dogs with Dingoes. Sometime along the way, other breeds may have been added into the bloodline (like the Kelpie and Dalmatian, as it's been suggested). A DNA analysis may be needed to have a clearer insight into this mixed bag of genes. The term heeler, which is just another name for this breed, refers to this breed's working style. These dogs were selectively bred for controlling and herding herds of cattle with force, by nipping and biting stubborn cattle's heels to get them to move. 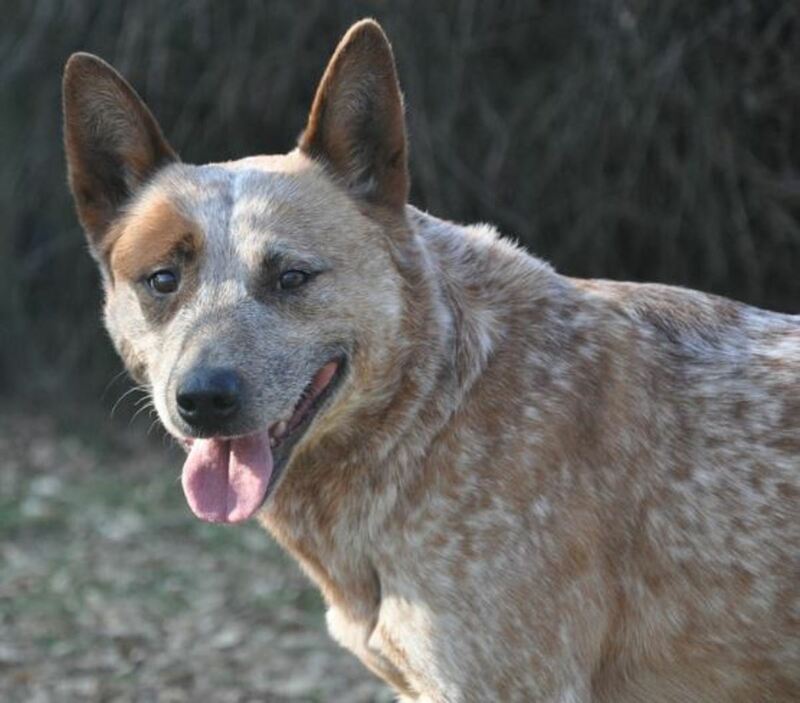 The Australian Cattle Dog Club of America adds some further details: This is a breed that likes to think for itself. It was crafted to move stubborn cattle by "coming in low from behind, biting the hock of the weight-bearing leg, and ducking to avoid the kick that often follows. An uncooperative bovine doesn’t discourage the dog; rather, the Australian Cattle Dog just becomes more determined to get its job done." 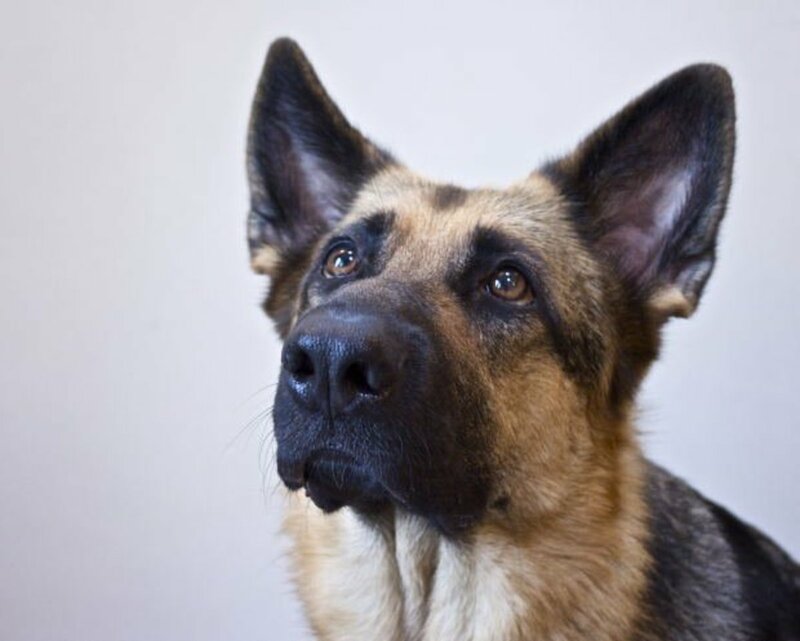 Personality-wise, the American Kennel Club describes these dogs as being "alert extremely intelligent, watchful, courageous and trustworthy, with an implicit devotion to duty. " In a nutshell, cattle dogs have the potential for being ideal working dogs and may be quite an asset for those who have a farm. Indeed, still as of today, many heelers are employed in farms with lots of acreage where these dogs can work and romp to their heart's content. Heelers thrive when provided a job to do. Help, My Heeler Puppy Won't Stop Biting! It is, therefore, not surprising considering this breed's history as herding dogs to see puppies that are extremely intelligent and seek interaction with their owners. The nipping in a heeler pup may be more than the average puppy due to this breed's instincts to herd and nip. Add on top of that their determination, and you have the perfect recipe for what dog owners nickname the "nippy, puppy monster." For a good part, puppy nipping should be inhibited to a certain extent once puppies are heading to their new homes at 8 weeks of age. This is courtesy of the pups' interactions with their littermates and mom which should have taught them the ABC's of puppy bite inhibition. In the litter, every time a puppy plays and bites too hard, their littermates will yelp and withdraw from play, which should teach these rough pups to use their mouths more gently if they want to keep playing. However, once puppies make their way into their new homes, further training is required to prevent these pups from nipping too hard considering that human skin is much softer. On top of learning to bite more softly, heeler puppies should also eventually learn to interact with humans in different ways. 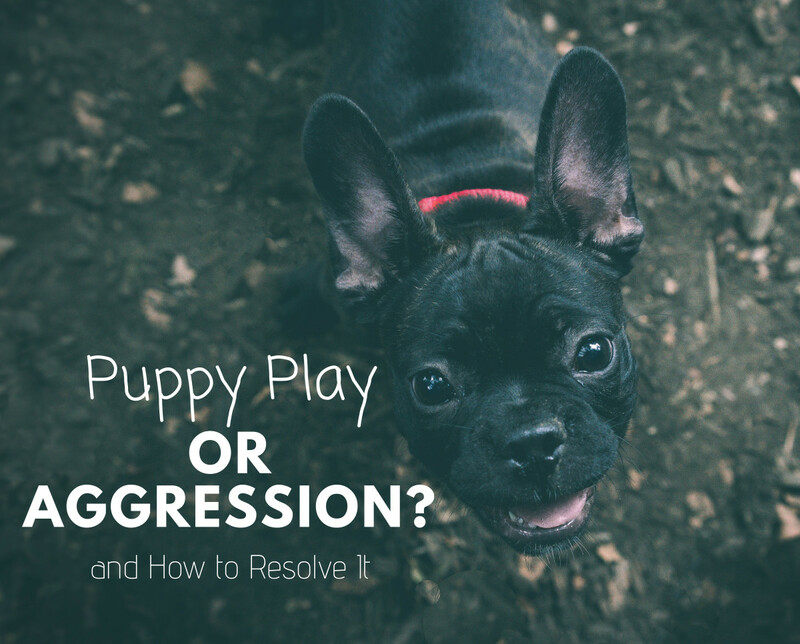 When puppies play and a good percentage of that play involves rough mouthing that goes uncorrected, there are big chances for the behavior gaining a strong rehearsal history with conditioned emotions. Soon, the puppy will seek out these interactions more and more as they feel good. The more aroused puppies are, the harder they will bite and the more those jaws develop, the more they are capable of inflicting pain. Excessive nipping should be "nipped in the bud" before it becomes an ingrained habit. It's important to teach heelers to inhibit their bite, and to find productive ways to redirect the puppy's biting and teach that pleasure can be gained from alternate activities. 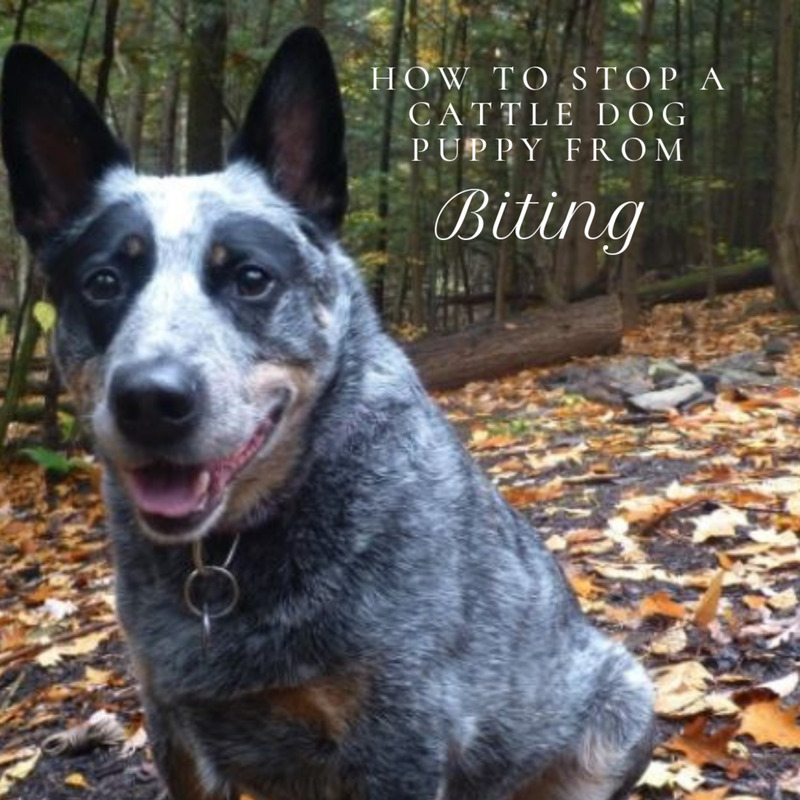 There are several ways to stop a cattle dog puppy from biting and often this requires a multi-faceted approach. If your cattle dog puppy is biting hard and breaking skin, if you have small children in your home or if you notice any aggressive displays, it's important to seek the assistance of behavior professional for safety. 1. Enroll in puppy classes. Puppy classes are a good way to allow puppies to interact with other pups, refine their bite inhibition and social skills further, while also continuing their socialization. Look for puppy classes that require proof of vaccinations and that put great emphasis in preventing infectious diseases. 2. Caution with young children. Young children have a tendency to move fast, scream and run as they play, and heeler pups may get aroused by this and will trigger chasing and nipping. Due to this engagement, these pups may learn to play rough and may fail to learn how to properly interact with children and children can get hurt. On top of this, everybody needs to be on board and prevent the puppy from learning to engage in improper ways. If your puppy is prevented by biting grown-ups, but then is allowed to nip children, there is no consistency and this confuses dogs. When children play, it is best to keep the pup in a separated area until he has learned better proper impulse control. Remember: The more dogs are allowed to engage in inappropriate behaviors, the better they get at rehearsing them. Practice makes perfect. 3. A word about punishment-based methods. Using aversive training techniques such as alpha rolling the puppy, giving a scruff shake, collar grabs or tapping the pup on the nose may trigger more problems down the road such as defensive aggression and fear biting. 4. Teach your puppy to mouth gently. This exercise should be done only with puppies with some level of bite inhibition. 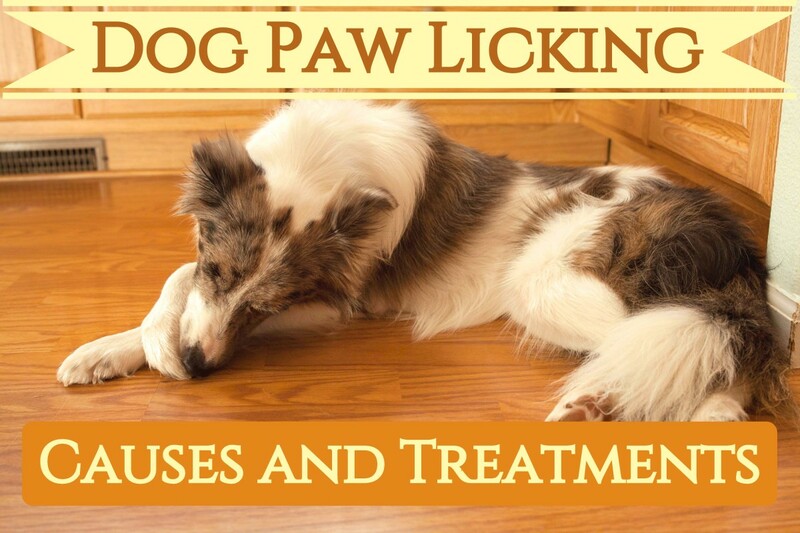 If you have an adult dog or a puppy with very little bite inhibition, this can lead to hurt fingers. Please practice caution (and possibly use gloves) if your pup bites hard or you feel that his teeth are getting close to break skin. Careful also not to insert the treat too deep back as those molars have quite some crushing power and you don't want your fingers there accidentally. 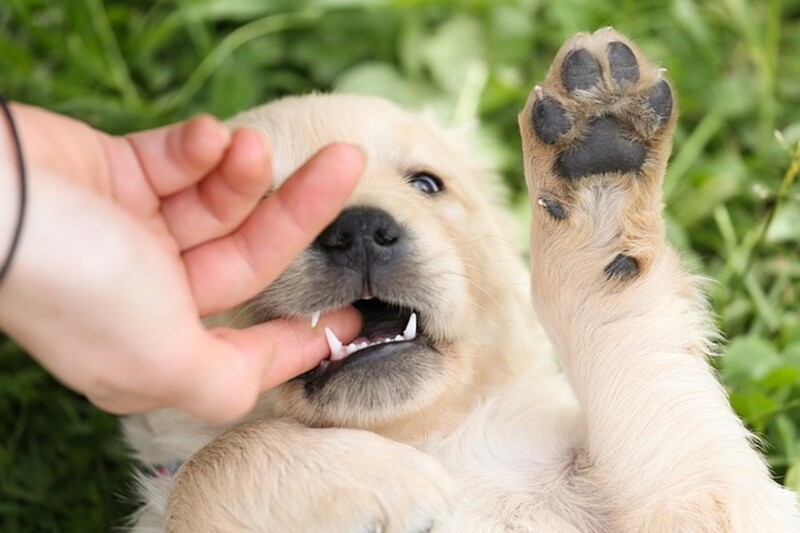 Keep a treat (or kibble) in your hand between your thumb and index/middle finger letting it protrude a bit and insert the treat/kibble directly into your puppy's mouth. If he is rough with his teeth, don't let go (letting go will only reinforce the biting down behavior). Talk to him calmly, and move slowly and wait for him to nibble gently. At that time, praise him and let go of it. Repeat several times, and as he gets the idea, you can add the verbal cue "gentle" every time you insert the treat in his mouth to remind him to be gentle with his teeth. Remember to practice during quiet times at first because if your pup can't control his bite when relaxed, he won't be able to when he's highly aroused. 5. A word about withdrawal from play. When playing, it is easy for puppies to nip because that is what they have done with their littermates up until they are welcomed into their new homes. One popular strategy for correcting nipping is, yelping (or saying ouch!) and turning around (and even leaving the room if the puppy persists) stopping any interaction with the puppy to give puppies the idea that, when they bite too hard, they lose their playmate. This strategy is based on what littermate puppies do; however, for some easily aroused dogs or dogs particularly attracted to movement, it may not work too well. Movement triggers more biting, and the more we resist by moving upon feeling those sharp teeth, the more a puppy will latch on and treat humans as giant tug toys. For some dogs, yelping can be perceived as a hurt animal and increase arousal (the owner is perceived as a fun squeaky tug toy!) and for some movement oriented pups, turning the back and walking to leave the room may encourage further engagement with the pup chasing and latching on. Now, it is possible that the pup may get the the idea that he has lost his favorite playmate once the owner leaves the room, but he might have had a blast of fun in the meanwhile, so there is no guarantee whether the withdrawal association is made or not. With puppies as such, if walking away leads to having a landshark attached to a leg, then best to try another different method altogether such as teaching some more constructive replacement behaviors. 6. Train alternate, incompatible replacement behaviors. When your puppy is on moving towards you and you know he's coming for nipping, ask for a replacement behavior as suggested below. You will have to have trained the replacement behavior prior using positive reinforcement methods to the point of fluency before applying it to a nipping scenario when a puppy is excited. 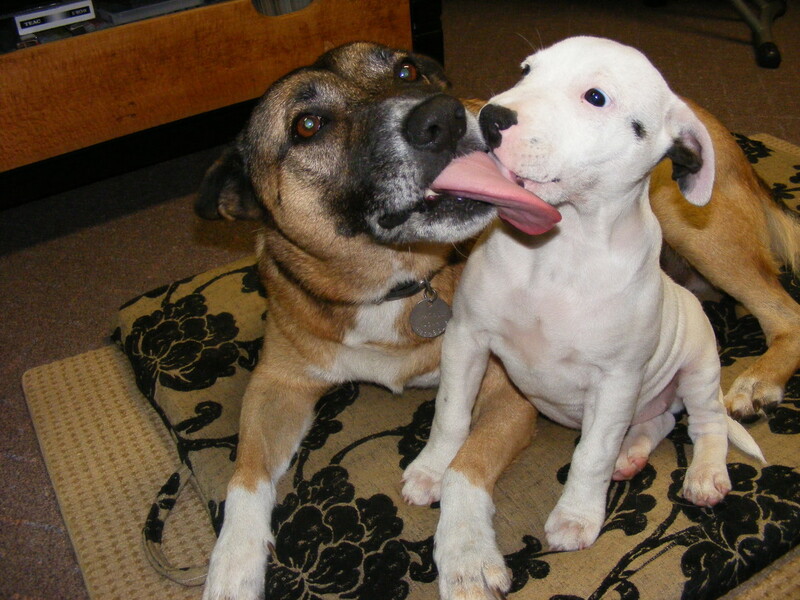 Replacement behaviors provide the puppy the opportunity to perform a behavior that is incompatible with biting. Asking these replacement behaviors requires you to carry a treat bag on you during the day so that you are a ready to redirect at a moment's notice when you walk around. Kibble rather than treats can be used for those puppy owners concerned about extra calories or digestive upset. For example, you can ask your puppy to target your hands (or a long target stick) and then upon targeting. praise and reward by tossing a kibble across the room (which also gives a workout to burn excess energy). Hand targeting is a great game to play because the goal is to get the puppy to touch hands with his nose rather than nip them. Other examples of replacement behaviors include asking as your puppy approaches to "sit" and then reward by tossing the kibble/treat the opposite way as you walk away or asking your puppy to do some steps of attention heeling (dog walking next to you looking into your eyes) inside the home. Every time he makes eye contact with you, praise him and toss a treat across the room. But what should you do in the meanwhile, prior to your puppy learning to perform the replacement behavior well to the point of fluency? As you work on training a replacement behavior to the point of fluency, you may wish to redirect your puppy when she approaches (if you are walking, stop walking as movement encourages nipping) to some food dispensing toy or an interactive game such as tug or play with a toy attached to string. Keep these toys in your pocket so they are ready to use at a moment's notice. 7. Watch for chained behaviors. 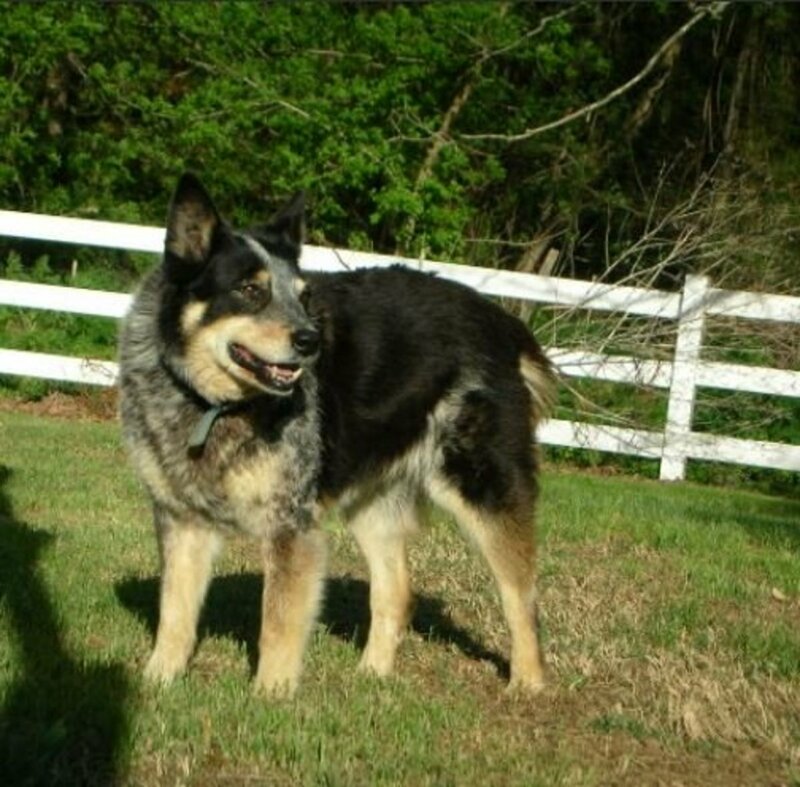 Heelers are very smart and have demonstrated the ability to quickly learn chained behaviors. So if your puppy bites and then stops and you reward them for stopping biting with a treat, there are chances they will learn that biting and stopping earns them the reward, so soon you are stuck with this vicious cycle. There are several ways to tackle this. Inserting some behaviors can help distract your smart pup from the chain, but a better approach may be preventing the biting from occurring in the first place. For instance, your puppy bites and then stops biting and you want to reward that? Promptly praise and reward that by tossing a handful of kibble on the floor, and then as your puppy consumes those, take steps to prevent more biting to occur. For example, call your puppy to join you in the yard for a treasure hunt of more kibble scattered around the yard or a fun game of tug anything to keep his mind busy and away from your hands. This should help break the chain. Even better, catch your puppy before he even has the chance to bite in the first place and redirect him to another behavior such as targeting your hand several times in a row. 8. A word about redirecting to toys. Many puppy owners are attempting to redirect their heeler pups from biting hands to playing with a toy or eating treat, only causing the pup to go to the the toy or eat the treat and then go back to nipping some more. Why? Most likely because the toy is a boring one that the pup has seen over and over or it's lacking an important quality that most heeler pups seek: continuous, unpredictable movement. With giving treats (unless you toss them to redirect and ask for an alternate behavior each time he comes back), the enjoyment is too short-lived and the pup goes back to an activity that is lasting longer and causes engagement (nipping you as you move or make sounds and move away). In such cases, it helps to provide nipping pups the best of both worlds, a toy that involves movement and engagement, and on top of that, a toy that offers some reinforcement too! So next time your heeler pup nips, skip redirection by giving him a chew toy or feeding a tiny treat, and give him instead a food-dispensing toy that will keep him mentally stimulated and occupied for some time. Good choices are the Kong Wobbler, Buster Cube, or any IQ treat ball (previously stuffed) that you can easily keep in your pocket and use for redirection as needed. Providing interactive toys is important because they not only provide a mental workout and an outlet for their instinctive behaviors, but also because pups gain positive associations with these toys so playing with humans by nipping eventually becomes boring (especially if you freeze like a lamppost and redirect to these toys instead). Most puppies outgrow nipping just as they outgrow biting and chasing their tails because they find more reinforcement from these other activities in their environment. Failure to provide these outlets may lead though to problematic behaviors persisting because the puppy has nothing better to do. 9. Introduce your puppy to some Treibball basics. Treibball is a new doggy sport where the dog must “herd” several large inflatable exercise balls into a soccer-like net. Start by training (with the use of a clicker) your puppy to hand target first, then to target a sticky note placed on an opened cabinet, then to target the sticky note on the cabinet with enough force to close the opened cabinet, then place the sticky note on a large ball and encourage your pup to push the ball with his nose, gradually adding distance. The sticky note can be removed once your puppy grasps the concept. 10. Provide exercise, training and mental stimulation. Heelers are dogs who need a job and their brain and body thrives when they provided with exercise, training and mental stimulation. Play with your puppy in constructive ways that reinforce calm behaviors (have your puppy sit before you toss a ball), train your puppy impulse control (ask your puppy to sit before putting the food bowl down, before petting, before opening a door, before putting the leash on) and polite leash walking, and use brain games to keep your pup busy. 11. Caution with high-impact exercise. While some exercise and mental stimulation is helpful, puppies should not be overly exercised until their growth plates have closed. This means very long hikes, repetitive jumping, jogging etc. 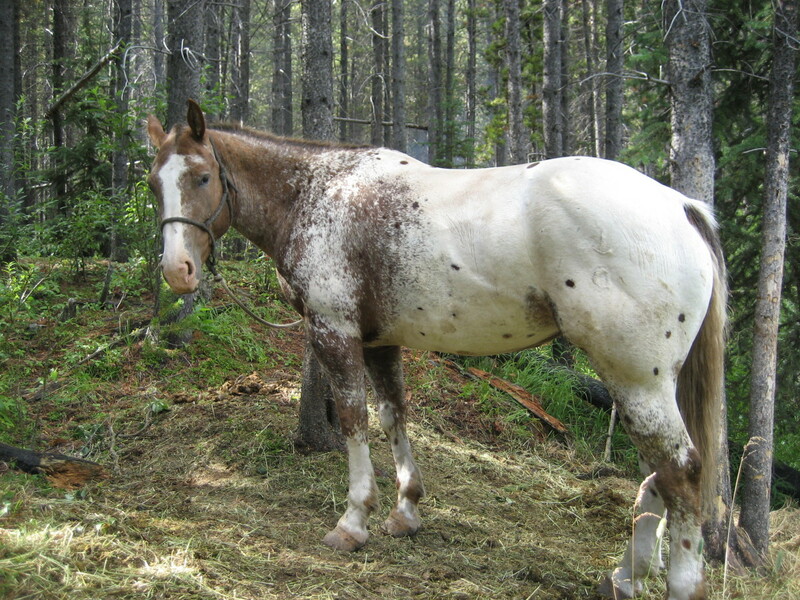 should be avoided at least until a veterinarian has provided approval for these activities. 12. Watch for cranky pups! Finally, something to consider is that puppies sleep a lot and it's important for their development that they receive enough sleep. Sometimes when puppies are acting out by nipping, they are just cranky and need some rest. Putting these pups in a crate or behind a baby gate to enjoy a safe chew toy in a quiet room can allow them to relax, and after chewing, they will most likely fall asleep. In general, positive training methods work best with this breed and make training more fun for the owner as well. These are smart dogs and if you make learning enjoyable, they will want to learn. A tired heeler, is a good heeler. Heelers are dogs who need a job and purpose in their lives in order for their well-being (and their owner's well-being too!). Once physically mature, heelers can be employed in a variety of activities that will keep their minds and bodies entertained. These activities include the sports of agility or Treibball, herding or tracking, and rally obedience events. 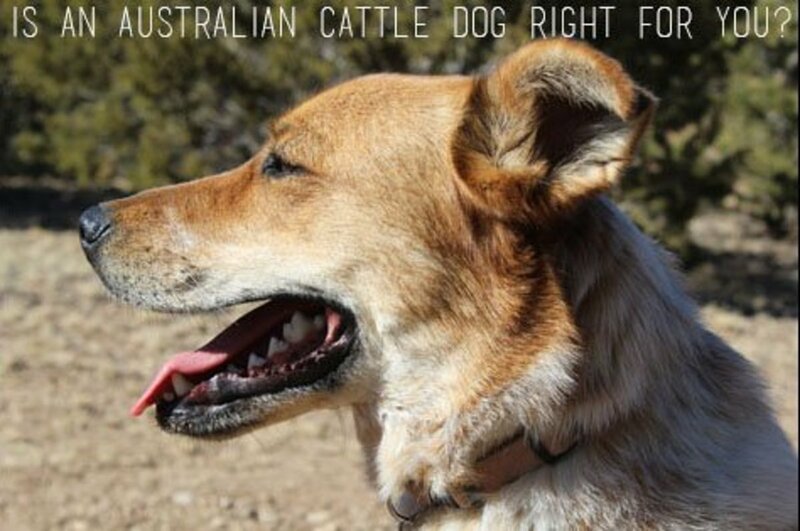 Is an Australian Cattle Dog Right for You? Is Rough or Aggressive Puppy Play Normal? Ahhh yes, count your blessings, some of these pup can be a handful! Happy new year to you too and your canine companions. I'm so glad we got our cattle dog girl as a senior! She's well over the puppy stage, but still has a lot of energy that needs to be drained with exercise. These are good tips even for non-cattle dog breed pups. Thanks for sharing, as always. Happy New Year!